Even at preschool ages books are important. Picture books and other age appropriate books are an important part of how a child should spend some time during the day. Your children’s parents will be pleased and impressed to know that you provide “reading” time during the day for the preschoolers. 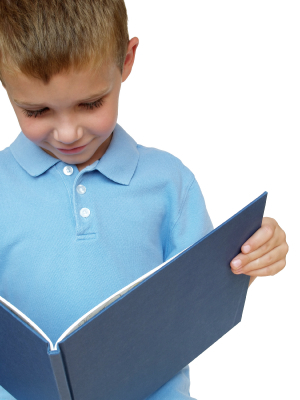 It’s not unheard of for 4-year olds to be reading very basic words. So in addition to board books, picture books, and touch ‘n feel books, you will also want to include some beginner reading books for those students excelling. However, books and bookshelves can be expensive. Making a special reading nook encourages children to enjoy books. You may designate this area by arranging bookcases, bean bags, large pillows, and rugs in a corner of the room. Children will enjoy their time curled in a bean bag with their book. So, how do you economically create this reading environment? One of the easiest ways is to ask parents to donate any books they no longer use at home. You may ask this of parents whose child is leaving for kindergarten. In addition, at open house you can ask the local bookstore to display new books that the parents can purchase, hopefully at a discount, and give to the school. The US Post Office offers a media rate for shipping books which makes it more economical to purchase used and new books online. Books intended for preschool children are generally durable and can easily survive a family of children that make great child care resources. Occasionally local libraries and schools discard books to make room for new ones. Ask to be put on the list to receive any preschool books which may be discarded.